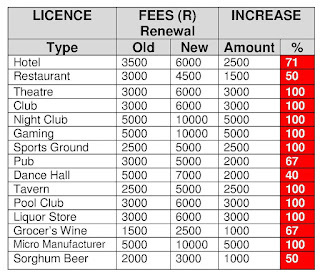 Liquor licence fees - Gauteng liquor licence fees are set to increase by up to 100%. 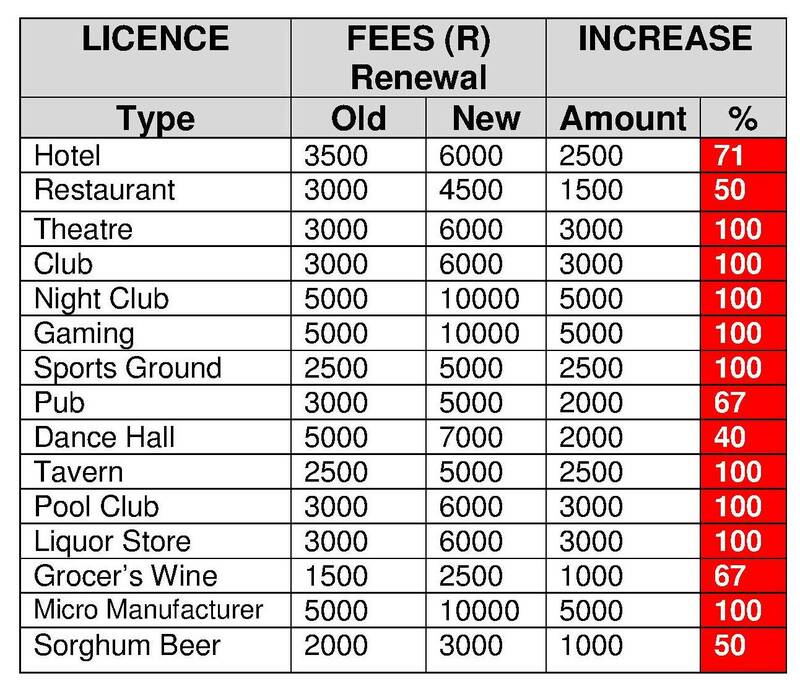 This follows the publication by a notice in the Provincial Gazette on 28 July 2016, calling for comments on the new, proposed liquor licence fees. The proposed increase will be accross the board and includes - application fees, new licence fees and licence renewal fees. To receive a fee table showing the proposed, new application fees - send your request to - [email protected]. Comments can be submitted by forwarding an email to Ms Atlegan Morare at [email protected]. Comments can also be forwarded to [email protected] and will be included in Liquorwise's own comments to the MEC. It is a better step taken by the government of increasing the liquid licensing fees up to 100%. This may affect the prices of liquor but I think essay writing service is better for our young ones. Such type of steps should be taken.